When did AKR Corporindo go public? The company was listed in Indonesian Stock Exchange in 1994 and trades under the ticker code AKRA. What is the ownership structure of AKR Corporindo? The company currently has 3,94 billion shares outstanding, with 58,83% of which are owned by controlling shareholders, 0,72% by employees via management stock options program, and the remaining 40,45% owned by public. Brief history of AKR Corporindo? AKR Corporindo was founded in Surabaya in the 1960s initially as a trader of basic chemicals. 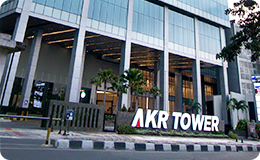 Today, AKR is one of Indonesia’s leading distributor of basic chemical and petroleum products. What market segments does AKR Corporindo serve today? AKR Corporindo is supplying petroleum and basic chemical products supported by its extensive infrastructure facilities including tank terminals and barging facilities to industrial and retail customers in most of the major cities across the country. Today, our market segments are industries, including multinational companies, state-owned enterprises, commercial enterprises and small businesses. AKR’s subsidiaries provide third party logistics services to customers in Indonesia by delivering products and services. In China, the company operates container and bulk ports in the Pearl river, as well as manufactures and supplies Sorbitol and starch derivatives to the oral care and pharma sectors. How does AKR Corporindo supply petroleum to industrial and retail segment? AKR imports petroleum products from global refineries based on customer requirements and supplies petroleum to industrial and retail segments from its network of storage terminals, sea, river and land transport. AKR also provides fuel management services to its customers adding value to them. AKR through AKR retail petrol stations supplies High Speed Diesel and Petrol to cater for the needs of its retail customers including motorists and fishermen. It currently operates 131 petrol stations located across the major islands of Java, Sumatra, Bali, Kalimantan and Sulawesi. What are AKRA competitive advantages compared to its competitors? The company possess adequate infrastructure network as well as land bank in the port area to build logistic facilities and provides end to end supply chain solutions. How could I become a franchisee of AKR to operate retail outlets? You could submit the franchisee application form to AKR. The selection is based on the legal, financial, administration, and technical criteria. For those franchisees whom have been selected, AKR will issue a franchisee certificate valid for 3 to 6 months’ period. HHow does AKR manage risks associated with fluctuating petroleum prices and exchange rates? The company manages its risk associated with volatile petroleum prices and exchange rates by maintaining an adequate spread over its base oil price as well as by hedging its FX exposure. What are AKR key environmental, social, and governance risks and how are these mitigated? There are various environmental, social, and governance risks faced by AKR. These includes risks of system and equipment failures, natural disasters, etc. which disrupts the operation of the company. In mitigating these risks, the company always reminds its employees regarding risk awareness so they can contribute in risk management and provide important input in decision making processes. 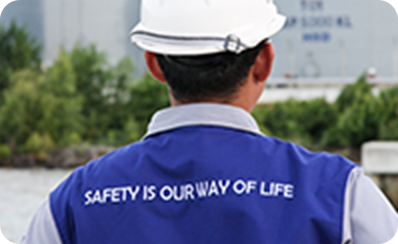 Thus, management and all employees are committed to implement risk management. What is AKR Strategy to participate in the fast deregulating downstream petroleum segment? Two of the most recent initiatives that AKR has undertaken in response to the deregulation in the downstream petroleum segment are building of additional storage tanks due to increasing capacity utilization and building of additional petrol retail outlets. Why is AKR investing in Java Integrated Industrial Ports and Estate Project? To further grow its infrastructure capability and add a recurring income component to its business model. What are the key benefits of JIIPE industrial estate and Port? Significant reduction in logistics cost for the tenants due to the port and industrial estates which are integrated. Also, another key feature of JIIPE is its port’s ability to accommodate large international vessels using its deep-water port. What is the shareholding structure of JIIPE project? What is the long-term strategy of AKR for JIIPE? What are the plans to build supporting infrastructure? To make JIIPE as the destination of choice for industrial investments in Indonesia especially for export oriented industries. In terms of supporting facilities which has been planned it includes power plant, water treatment facility, toll road, railway etc. How does the group manage succession planning across its key management roles? As part of the group’s succession planning program, the group constantly identifies potential employees to fill the key management roles and has already built a competency model across different function for each level and position. 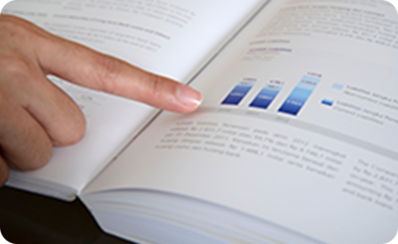 What is the dividend policy of AKR? What is the track record of dividend payments? AKR has a policy of maintaining at least 30% in terms of dividend payout ratio and over the last couple of years the company has consistently paid a dividend in excess of 30% to its shareholders.